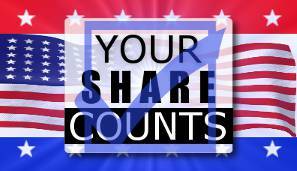 Make Your Vote [Shares] Count! I was sitting in our living room talking about politics (yuck) with my wife and decided to share the conversation and how it relates to politics, at least my take on it. She made the point that she likes Ron Paul because he doesn’t compromise. Don’t worry; this isn’t going to be about politics, not like that anyway. I made the point that Dr. Paul does compromise because every politician has to or nothing would get done. That’s the nature of politics; you wash my back, I’ll wash yours. A one-man band simply doesn’t work. Now, lets brought that back around to promoting our blogs via social networking. Social Networking is like politics, like it or not, at least for business AND at least in the beginning. NOTE: By that, I mean, if you’ve already made it to that point of success to where momentum alone will grow your social status, this may not be the best advice for you. Notice I said social networking and not social media, so forget about friends and family sharing things outside of our business for a second. Take Twitter, for example; Look at my Twitter feed and you will see that 90% of my tweets are sharing other people’s posts and content. You will also notice that those social shares include the other blogger’s @NAME whenever possible. I want them to know I shared their post. 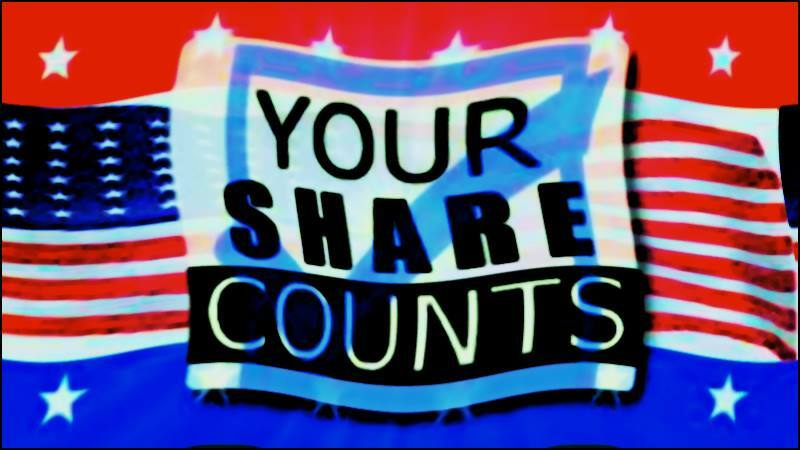 That’s social sharing – that’s politics. Talk about Campaigning. Straight Talk: Listen, if you’re new to blogging, you have to understand just how busy many of the influencers you’re trying to attract are. (Don’t misunderstand here, I’m not suggesting you only share influencers content – far from it). Just get in the habit of making things as easy as possible for both your audience AND your social network. Don’t wait for them to notice – but don’t become a pest with constant reminders and/or requests. Find that balance that works for you and your network. Another way social networking is like politics is most bloggers will drop others that just don’t “get it.” For example, I’ll follow you on Twitter, but you have to follow me back. No matter how cute, popular or smart you are, I’ll drop you like a hot potato if you don’t follow back. If I’m sharing everything you have and you aren’t giving me the time of day… see ya! That, my friends, is social networking and it’s a lot like politics. Groups of like-minded bloggers get together to support each other’s work all of the time. Triberr immediately comes to mind but there are others. Many bloggers, just like marketers, develop their own little “clicks” if you will. Sound a little like politics? Triberr Update: I’m not sure how it will affect the social sharing network yet, but Triberr was acquired in Feb. 2016. Just received an email by @dinodogan that #Triberr has been acquired by 99Robots. I believe that's a WP Plugin developer. I’m not going to run for office anytime soon, but this blogger would love to hear your comments. What’s your advice when it comes to social networking?